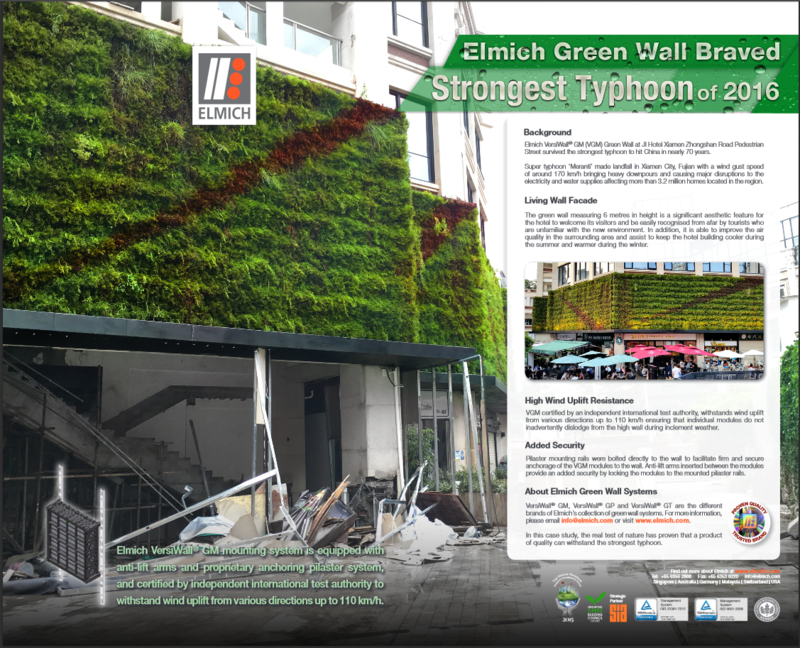 Elmich VGM GreenWall survives the strongest Typhoon to hit China in nearly 70 Years. The System is equipped with Anti-Lift arms and proprietory anchoring system. The system can withstand winds from various directions upto 110km/h.